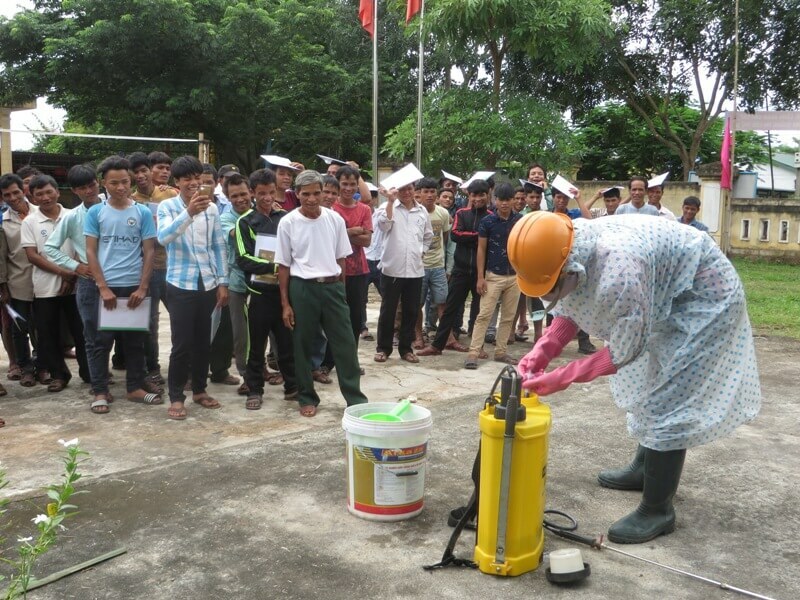 Practical activities about clean and safe management and use of pesticides were coordinated by the Quang Tri Province Department of Plant Protection (DPP) and the Centre for Social Research and Development with support from the Rosa Luxemburg Foundation. Quang Tri is an important agricultural province. In order to improve economic value and productivity across the sector, there are many measures in place to support farmers to adopt intensive farming techniques which improve productivity and increase crop yield. Our survey shows that farmers use inorganic pesticides in large amounts and with many different varieties, and with more than 4,000 different chemicals. Pesticide abuse is particularly common when farmland quality is low. Climate change also has an impact causing pests and diseases to mutate dramatically in comparison with the past. In addition, many people do not hesitate to use pesticides which are not on the approved list and this causes soil pollution and adverse impacts on water, the environment, and human health. However, people still do not recognize or know of these risks and threats. 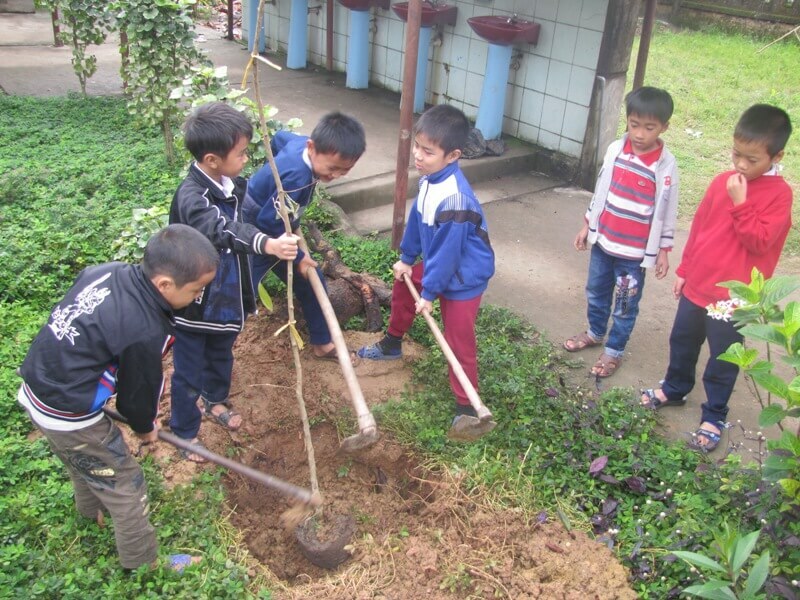 In recent years, the use of pesticides in Huong Hoa district in particular and Quang Tri province in general has increased rapidly leading to concerns about food security, and negative impacts on the environment, health and the community. 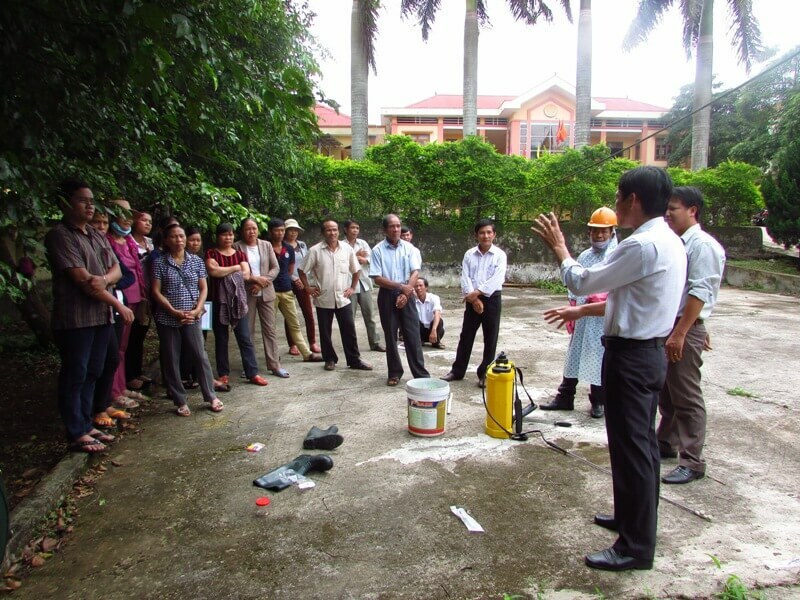 In order to raise public awareness about the use of pesticides, Quang Tri Department of Plant Protection has been working with the Center for Social Research and Development in Hue on many practical activities. Ms Le Thi My Hanh – Staff of CSRD sharing: “Through this activity we want to raise the awareness of the people in Quang Tri province, and particularly in Huong Hoa district”. 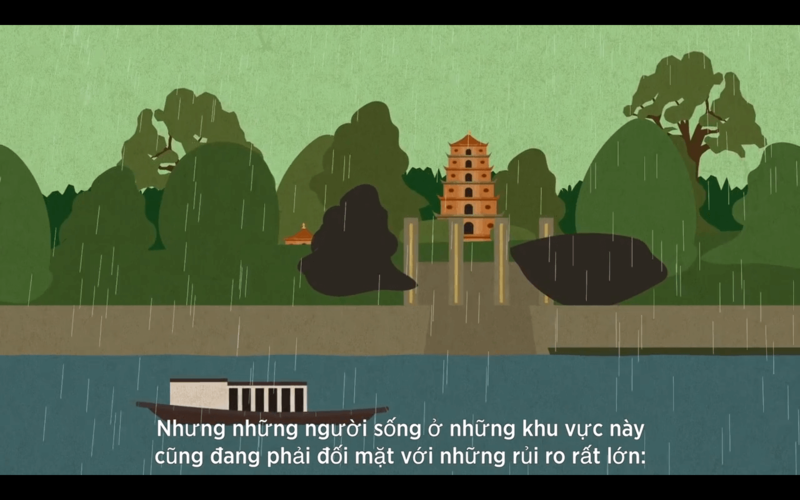 The project will inplement a technique called ecosystem-based adaptation (EbA) to enhance flood resilience urban and coastal areas in Thua Thien Hue province. 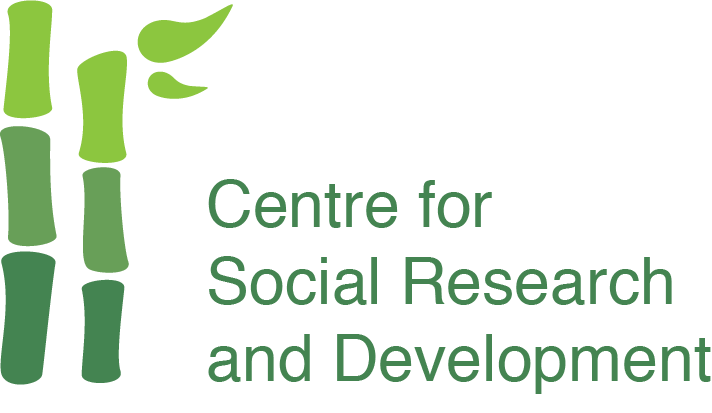 It will also focus on gender issues in relation to disaster risk management (DRM) and climate change adaptation (CCA).